Have Du ever been to a Kenny concert? which song is better? "Down the Road", "We Danced", "She's Everything",or "Summertime"? Would anyone like to buy a 1985 Gibbs High yearbook? 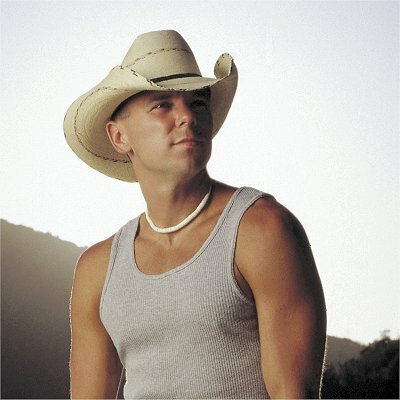 It was Kenny Chesney's Junior Year. It has several snapshots of him. There are also pics of him on sport teams and ensamble. I am placing it on ebay Weiter week. Any Guter Rat on price oder offers? Hey everyone! I just wanted to invite Du to check out my new club called Country Stars. It has all of the biggest stars in country music. Come check it out and Mitmachen if Du like it. Thanks! P.S. I need some help with the Icon and banner! Does anyone have a video clip of the end of Kenny's "Have Another bier in Mexico" at the CMT Summer Festival? The sax player was the coolest ever! Would Liebe to hear Kenny and that tenor sax again. Thanks much! Kids Wish Network is sending lots of applause out to the charming country rocker, Kenny Chesney! His newest album, Welcome To The fisch Bowl, has earned many commending reviews since its release in June. It is also currently in the number three spot on Billboard’s Country Albums chart. “Come Over,” the first single released off of the new album, has been on Billboard’s oben, nach oben Country Songs chart for 12 weeks now and is currently ranking number one! We think this country sweetie deserves the very best and we’d like to Mitmachen in on the buzz! Hi Kenny, I am a young 66 Jahr old woman who thinks Du are the sexiest man on earth.Im from Australia and Im wondering if Du will ever do a konzert here in Sydney.My name is Joan Crosby and sitting in a wheelchair all Tag has been depressing until one of my daughters bought me your cd's and dvd's which has now put a smile back on my face.I even saw Du on Oprah which was a huge highlight of my life.Your songs are inspirational and really help me get through my days.You should be very proud of yourself and the work that Du do. Kenny, I'm a great Fan of yours and I'm from Grainger County, TN. Work at the Knox County Clerk's office for 9 1/2 years. Worked with your sister Jennifer and met your mother and her sister several times.. I have 2 great Friends that had classes with Du at ETSU also. good songs on his last cd right?? Wondering why Kenny Chesney named his new album 'Hemingway's Whiskey'? You'll find out in this exclusive Soundcheck performance from the Nashville singer/songwriter. a pop quiz question Wurde hinzugefügt: What does Kenny eat while on tour?! Teenage Country Singer/Songwriter Abi Ann Makes Musik That Taylor schnell, swift Fans Will Love!